Light object made in a numbered limited edition. 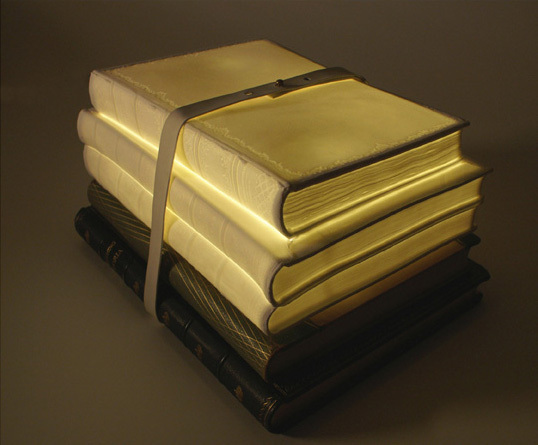 The object are made of books in porcelain(bone china)combined with real antique books. A leather strap holds the books together.